Prepare for styling with Redken's Pillow Proof Blowdry Express Treatment Primer Cream; an innovative formula that works to strengthen and shield from breakage. Suitable for all hair types, especially dry, thick or coarse, the non-greasy, multi-beneficial cream speeds up drying time, provides heat protection up to 230°C and delivers twenty-four hour volume without extra weight. Experience healthy-looking, super sleek locks. 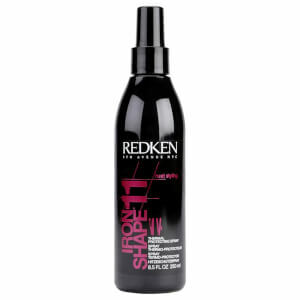 Pump to dispense and work evenly through damp hair, focusing on dry ends. Style as desired and extend the life of your blowdry. Great product. Only need to use a little bit so lasts for ages. yes, it speeds up drying time by half, BUT it dries out your hair too. I color my hair monthly. Wash every 2nd or 3rd day. I have normal hair and a little bit dry ends (blowout and hot tools). I usually do not have any problems with my hair. My hair is thick and it take about 25-30 min to blow them dry. My normally fine hair got quite dry after using it few times. Not using anymore. 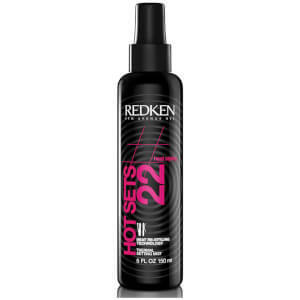 This product is amazing, I have super thick hair which takes years to blow dry, but this saves me so much time. Also you have the added benefit of it boosting the volume, making my hair lovely and soft (without being all floofy and flat) and it helps keep my style all day! Winner! The jury's out. 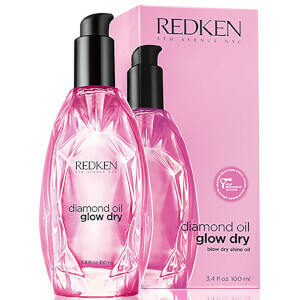 I have used this twice and I haven't got the results I have had with Argan Oil. Maybe I should have use more. I have a lot of hair that takes ages to dry even with a salon dryer. I didn't have particularly high expectations to be honest but this stuff is great - it definitely cuts down on drying time and my hair was much more sleek. Once I worked out the right amount of product to use for my hair it was good, absolutely left my hair in its blown dry state overnight. Be careful how much you use though, I used too much at first and it left my hair tacky and very matte. I so find best over the products I already use. Best hair product purchased in a long time! This is literally the best hair product I have used in a long time. I have coloured, find blonde hair which can be a bit fluffy if I don't use the correct products. I used this alone after shampooing and conditioning and my hair was is so smooth. Really happy and will repurchase in the future.